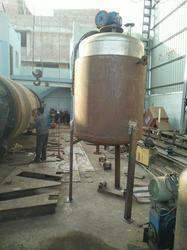 We are a leading Manufacturer of stainless steel pressure vessel from Mumbai, India. Stainless steel pressure vessels are also one of the most exclusive quality industrial equipments which our company is extensively manufacturing, supplying and wholesaling in various parts of the country at very conventional range of prices. These stainless steel pressure vessels are used for the purpose of storing the useful and important gasses and liquefied petroleum for various ignition and combustion processes with desirable and controllable emission of the required amount of it. these stainless steel pressure vessels are available for our clients at a very easily affordable range of prices.